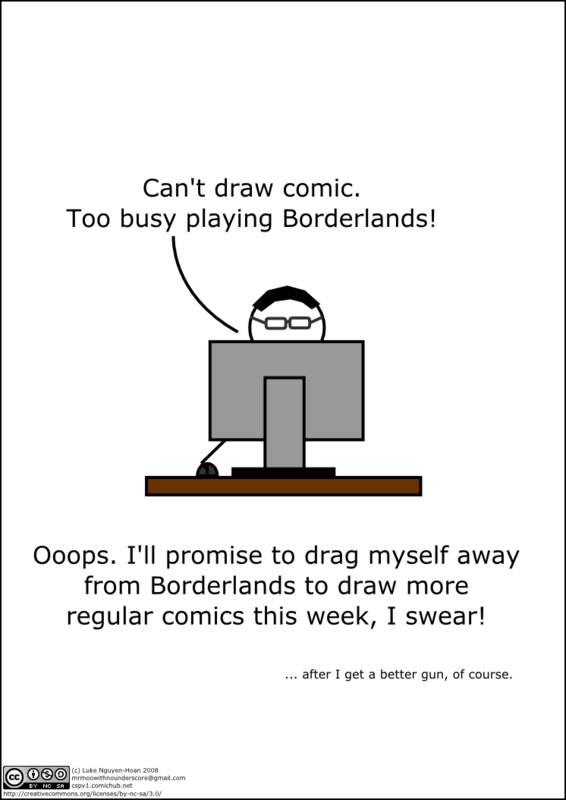 Ooops, got distracted by Borderlands. It's like FPS meets Diablo 2. And it's about as addictive as it sounds like it should be. Sorry, I'll resume regular updates FROM NOW ON. Feel free to complain in the comments if I don't. 1) I'm not short. You're all just freakishly tall. 2) You do realise that half the reason I wear them is because you all complain about them?